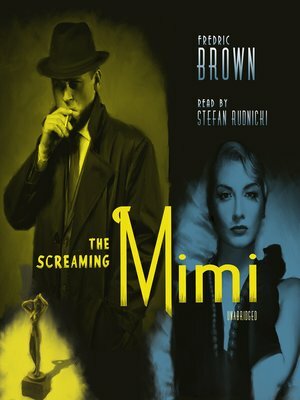 This beloved, larger-than-life thriller from Edgar Award–winning author Fredric Brown stars Bill Sweeney, an ace reporter with an otherworldly drinking problem who gets mixed up with a naked woman as the latter is trying to avoid becoming the fourth victim of a local serial killer—"the Ripper." Rousing himself from his drunken stupor in order to aid the woman, Bill sets out on the killer's trail. As he puts questions and answers together, he finds himself face-to-face with madness and death. In this wild ride from a renowned author, you'll visit an insane asylum, meet a bum named "God," and discover the little statue that ties everything together.